It is Spring and it is time to think about gifts that are Spring like. 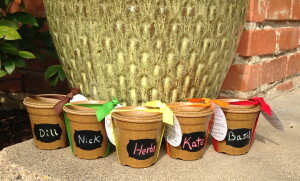 These are Natural Herb Growers with a chalk label. 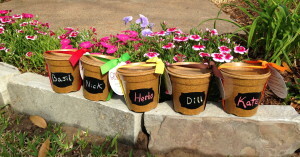 You can write the herb or a name with chalk, chalk crayons or chalk markers. They are $8.95 plus tax and shipping if you are not local. It includes pot and saucer, soil and herb seed bomb. Fun, Fun, Fun!